The ceremony of the II Art and Cement Awards is considered another year as the celebration of building, an event that brings together many of the leading companies in the sector. The awards ceremony, held at the ‘Fundación Carlos de Amberes’ in Madrid and presented by the journalist Marta Robles on November 29, was attended by the Assistant Director-General for Architecture and Building, from the Ministry of Development, Javier Ramiro Marin. 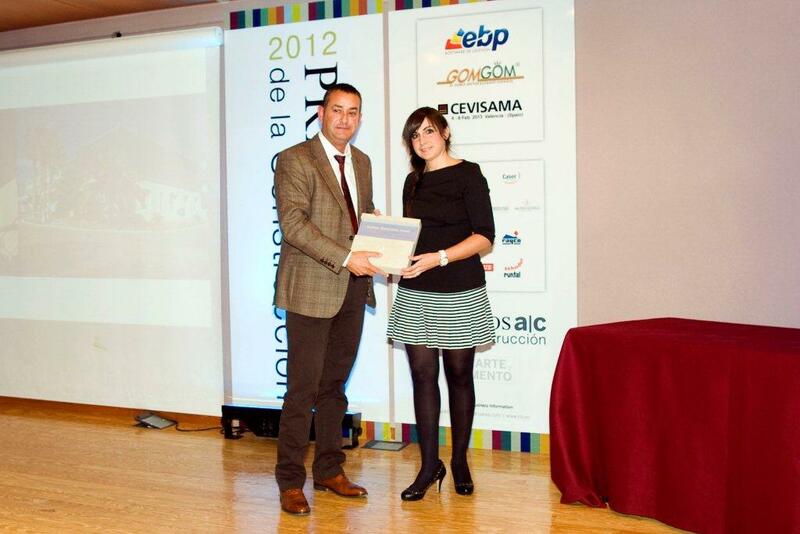 This year, from Bateig, besides contributing with the design of the trophy, we wanted to recognize the work of the architect Esther Escolano Jover, from the LopezEscolano_Arquitecture studio, through the delivery of the ‘Bateig Award’, for the prescription in Bateig stone in the offices’ building of the Industrial Complex ‘Martinez y Cantó’, in Novelda (Alicante).